From 5-8 November, British radio DJ, Zane Lowe, from BBC Radio 1, will be featuring 4 of the greatest albums of all time - works of genius; albums that have made an indelible mark on the musical landscape. Among the masterpieces presented are such as the likes of Nirvana, Arctic Monkeys, Led Zeppelin, and (surprise…surprise…) the Strokes’ debut Is This It. a lot of people forget just how great the debut record from The Strokes is, and just how much influence it had. 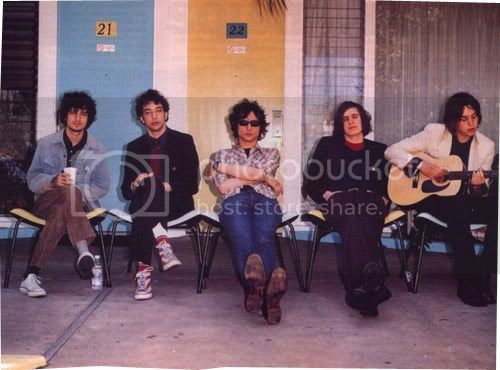 The Strokes debut is a classic and will be known till probably forever. Of course people will have a huge misconception against the album, thinking that it came straight out of the 70s era, but truth is, it was released in 2001, plus the band’s appearance didn’t help either. And that whole fascinating combination was what made the whole record seem so much more damn appealing to the listeners. I don’t know whether I’ve said this enough, but Is This It is one hell of a bloody great record, and I mean to emphasize the WHOLE. BLOODY. RECORD. So, to those who haven’t taken a listen to yet, I don’t even know where to begin to tell you how much you’re missing out on. This is one of the many highlights from the album that I absolutely love.